One of the nation's fastest growing careers, medical assistants are multi-skilled practitioners who perform a wide range of roles in physicians’ offices and other health care settings. Apply to the University of Akron and get accepted. In the spring of your first year at UA, apply to the Medical Assisting program. 30 students will be admitted to begin in the fall of their sophomore year. Application due date is April 15, general. Healthcare Programs due date is June 10. Medical Assistants are multi-skilled practitioners who perform a wide range of roles in physicians’ offices and other health care settings. They are proficient in a multitude of administrative and clinical tasks, and are widely viewed by health care providers as vital partners in increasing medical office productivity as they are cross-trained to perform clinical and administrative responsibilities. In 2016, the graduates of UA's Medical Assisting Program had a 90% pass rate on the AAMA certification exam and an 84% placement rate for the graduates. The program has a retention rate of 88% over the past 5 years, a placement rate of 84% over the past five (5) years and over 90% in the past two (2) years. 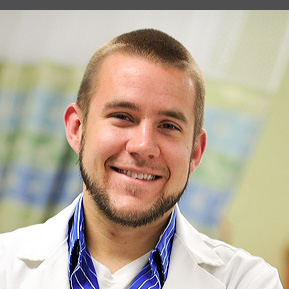 Recognized as one of the Top 50 Affordable Certified Medical Assistant Programs. Because of UA's accreditation with the Commission on Accreditation of Allied Health Education Programs (CAAHEP), UA students are eligible to take the CMA Certification Examination and boast an 81% pass rate. Note: If you have a criminal background, you many not be able to sit for the exam—contact AAMA for specifics). Later practice the skills on patients in hospitals and private practice offices under supervision of a clinical instructor. As a medical assistant, you will be the health care provider’s assistant, increasing productivity in the workplace. Medical assistants are essential members of the Patient-Centered Medical Home team. According to a survey by the Healthcare Intelligence Network, medical assistants ranked as one of the top five professionals necessary to the PCMH team. Contact Dr. Kristine N. Kraft, director, at knk@uakron.edu. Healthcare professionals and students in our program form our Advisory Committee and inform us of trends in the workplace, and we use those insights to adjust our curriculum. Medical Assisting Education Review Board (MAERB), 20 Wacker Drive, Suite 1575, Chicago, Illinois, 606060. maerb.org or 1-800-228-2262. Commission on Accreditation of Allied Health Programs (CAAHEP), 25400 US Highway 19 North, Suite 158, Clearwater, Florida, 33763, caahep.org or 727-210-2350.